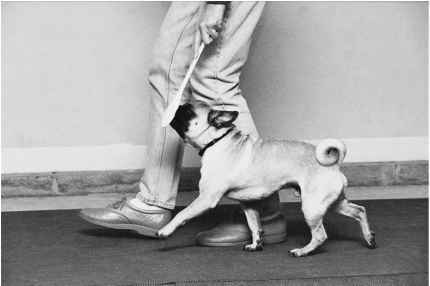 One of the reasons dogs pull is that it works; pulling makes you move in the direction they want to go. Dogs are rewarded for pulling. This week you are going to take away that reward. From now on, if your dog pulls, your goal is not to move forward. You can do this on a buckle collar. Start by setting a very attractive and visible object about 30 feet away. It has to be something your dog will pull toward. This could be a bowl of food, a toy, or another person. Hold your leash about three feet from the snap. Start walking toward the object of attraction (OOA). The second your dog hits the end of the leash, start backing up away from the object. Do not turn around. Do not let your leash slip through your hands. Tie a knot in it if necessary. Keep backing up until your dog turns around and looks at you, and the leash becomes loose. Reward, and then start walking toward the OOA again. It is normal to go only one step at first. Be persistent, and when your dog finally gets close to the OOA on a loose leash, release him with an "okay" to go to it. 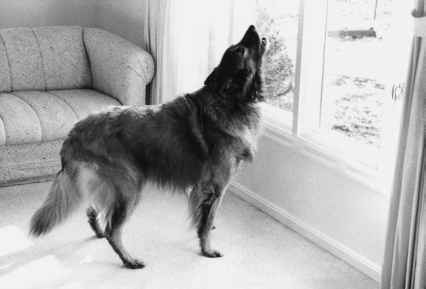 You can also set a goal to cover a certain distance without your dog pulling, like down the length of the driveway. Same rules apply: back up until your leash is loose, then go forward again. You won't be able to teach your dog to walk nicely on leash if you let him pull on leash sometimes and not at others. Consistency is critical for success.